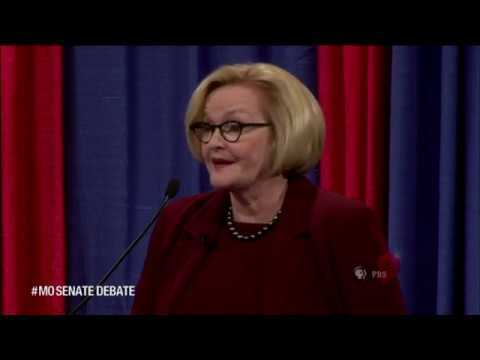 McCaskill, is a longtime Missouri politician who’s seeking her third Senate term. Hawley is a rising star in the Republican Party who’s running for his first national office. The two met for their first one-on-one debate Thursday in St. Louis. THE FACTS: This is mostly true. Hawley is one of 20 Republican attorneys general across the country who joined a lawsuit that seeks to repeal President Barack Obama’s health care law, which in turn would wipe out some federal protections for pre-existing conditions. If the courts overturn the health care law as Hawley wants, some people with pre-existing conditions would be in limbo until Congress passed a new plan. It is rare for legislation to move quickly in a closely divided Congress. And Republicans have not been able to agree on a replacement plan for the law they oppose. Last year, the Republican-controlled Senate rejected a GOP plan to kill The Affordable Care Act and replace it with a lesser version. Hawley has repeatedly said he believes any replacement of the law should require insurers to cover those with pre-existing conditions. He has even highlighted his own young son’s chronic disease — a pre-existing condition — in a television ad explaining his stance. She made the comment during a Senate Homeland Security and Governmental Affairs Committee meeting in April 2017, during which then-Homeland Security Chief John Kelly told senators that Trump’s proposed wall would not span the entire border. “It’s unlikely that we will build a wall or physical barrier from sea to shining sea,” Kelly said. McCaskill responded by praising Kelly for his comments, and railed against Trump for what she dubbed an unrealistic plan. CQ Roll Call — a Washington publication that tracks Senate votes every year — found McCaskill voted 58 percent of the time with Trump on 325 floor votes where the president took a stance in 2017. The analysis includes votes on legislation as well as judicial, cabinet and agency leader nominations. FiveThirtyEight.com, which also tracks congressional votes with or against Trump , found McCaskill voted in step with Trump nearly 45 percent of the time between January 2017 and Oct. 10, 2017. The online publication does not include the same votes as CQ Roll Call’s analysis. McCaskill’s record for supporting Trump-backed measures is higher than most Senate Democrats, but lower than a few more moderate members of her party. An AP analysis, for example, found Sen. Heidi Heitkamp of North Dakota votes 68 percent of the time with Trump . McCaskill voted against both of Trump’s Supreme Court nominees — Justices Neil Gorsuch and Brett Kavanaugh — as well as several Cabinet nominees, including former Secretary of State Rex Tillerson and Attorney General Jeff Sessions. She also voted against a 20-week abortion ban, a repeal of the Affordable Care Act, the tax cut bill and the White House immigration proposal. Missouri voters will decide in November if the state’s current $7.85-per-hour minimum wage should be raised to $8.60 next year and to $12 by 2023. As of this year, the average minimum wage for all states is $8.30 per hour, according to data from the National Conference of State Legislators. That would make Missouri’s current minimum wage slightly below the national average. Employers in states that do not have a minimum wage must pay the federal minimum hourly wage of $7.25. At least 11 states have already planned minimum wage increases for 2019, mostly because state law requires annual raises. Once those projected increases are taken into account, the average of all states will jump to $8.64 next year, or just 4 cents an hour above what it would be in Missouri next year. Eight states already plan to require employers to pay $12 an hour by the end of 2020, the National Conference of State Legislators’ data shows.